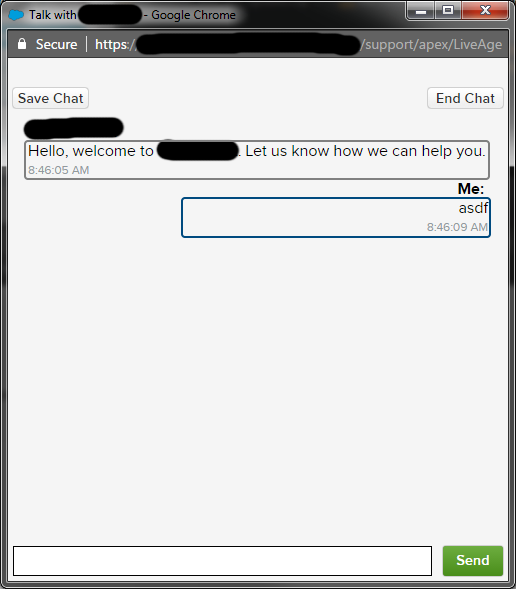 I'm not a web dev so styling the custom chat window has been a pain. I've made a lot of progress but found it very difficult to get the operator and client bubbles to appear. Here's my stab at it so far. What do I need to do to get something like the below picture? As it turns out, the client code wasn't producing any elements with the "bubble" class, so of course the above styling wasn't working. With some patience and inspection, I was able to get the look I wanted with the following additional styles.